What’s new in PrimalScript 2015? Our 2015 versions have been out for a while and most of you already know about some of the new features. But we want to make sure you don’t miss anything, so here is a brief recap. 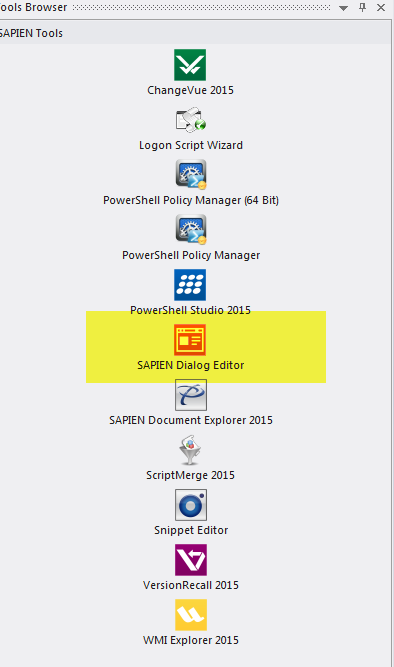 If you create graphical user interfaces (GUI) in PowerShell all the time, you probably already have SAPIEN PowerShell Studio. But if you just want to create a dialog here or there to prompt for some user input or display a particular piece of data as output, you do not need to create full-fledged event driven applications. Design your dialog, handle the events you need and dot source it or integrate it with your script. Easy. Go check it out. It is in the Tools pane in PrimalScript. Building advanced functions is not something that only happens in GUI applications. Whether you write a module or just a command line script, you need functions. 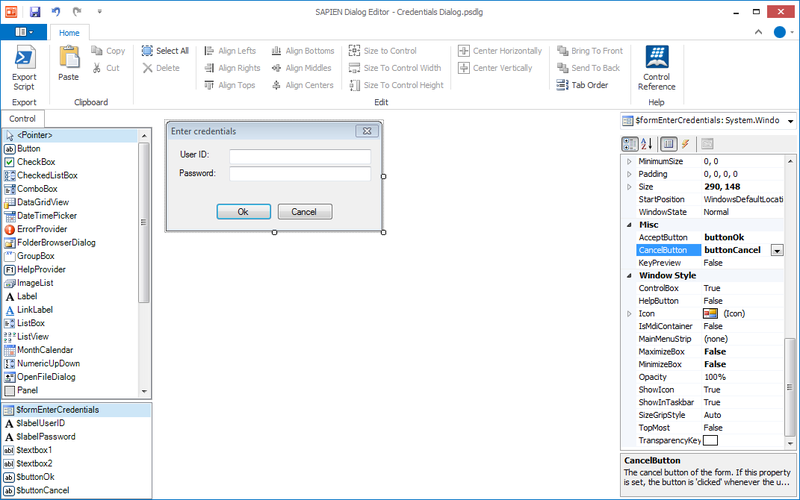 So click on the function builder within the context of an existing function to edit or outside a function to create a new one. Packaging and running a packaged script have been available on the Home tab for a long time. To change the packager, installer or deployment settings you had to go to the Deploy tab. You still can do that, but a secondary way to access these settings has been added to the drop down menus on the Home tab. All major SAPIEN applications can now be launched from the Tools tab. We assume of course that you have all our tools already pinned to the taskbar, but just in case you don’t use one or the other application frequently enough for that, we make it easier to find them. The previous versions of the object browser organized .NET framework classes by assembly. While this coincided a lot of times with namespace names, it was not always the case and could lead to confusion. This new organization will make it easier for you to follow the path from a .NET type name to its methods and properties. Of course we are always eager to improve things, so if you find anything that can be added to the object browser to make it better or simpler to use, please let us know. Method and property names of the .NET runtime are usually not very cryptic and in most cases you easily determine the purpose of an item by its name. 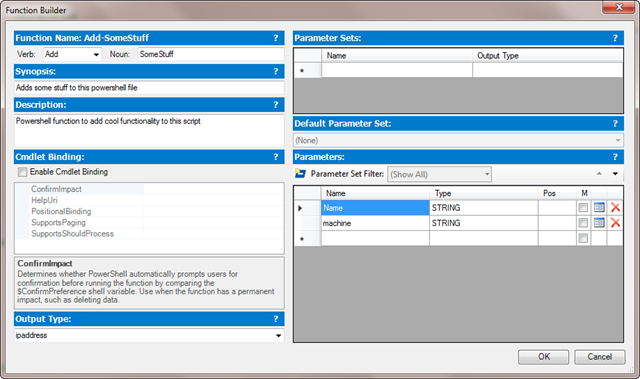 However it never hurts to have a little bit of documentation at your fingertips, so we added the basic synopsis for all methods and properties to the object browser. Please note that some assemblies do not include this information, so there are a few cases where this information is not available. You will also find a sample PowerShell call for all methods in this new version of the object browser. Simply drag and drop the text to your code and you get all the parameters already cast to their correct type. There are some other improvements within PrimalScript that will make it load and perform faster, which cannot be expressed in screenshots and may not be all that visible to you. But we want you to know that we always look for ways of making PrimalScript better and faster and we count on your feedback to do so. So do not hesitate; head over to our SAPIEN support forum and let us know if there is anything we can do differently or add to make writing code easier for you.